Another day, another brand under fire for an ad that many customers saw as tone-deaf. 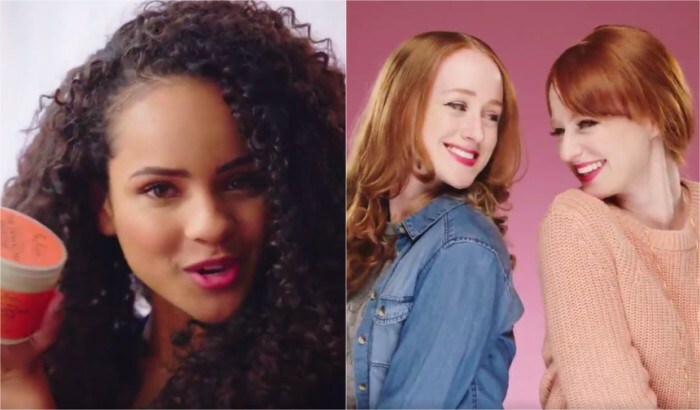 Shea Moisture is fighting backlash on social media after the brand, a family-owned business with deep ties to the black community, launched a spot that opened with a black woman discussing the difficulties of dealing with her natural hair, but quickly transitioned to two white women — a blonde and a redhead. One said she didn’t “know what to do” with her hair and the other complained about dyeing it. The intended message was, “Break free from hair hate,” but loyal consumers found the juxtaposition was insensitive. The company has apologized and said it’s yanking the ad. Richelieu Dennis, the company’s founder and CEO, told CNNMoney that women of color continue to be the company’s focus. Dennis, who came to the U.S. from Liberia for school but was unable to return home due to a civil war, partnered with his college roommate and his mother to launch Sundial in 1992. The aim? To “address skin and hair care issues traditionally ignored by mass market companies,” according to the company’s website. Dennis drew “from deep traditions born out of his family’s roots in Africa and passed down to him from his grandmother” to develop Sundial products. But Sundial has recently looked to expand its customer base. “There are other consumers that are also wanting natural products, and we’re creating products for every hair type,” Dennis said. The company has also brought in another stakeholder — Bain Capital obtained a minority position in 2015. But an “overwhelming” amount of the capital brought in from that deal has gone to new products for women of color, Dennis said. The company has launched more than 30 products in the last 18 months for thick to curly natural hair. The ad was part of a broader campaign that aims “to demonstrate the challenges that women have had and continue to have with the societal norms of beauty,” he said. It was developed in partnership with digital ad firm VaynerMedia, according to Dennis. The agency did not immediately reply to a request for comment. Shea Moisture isn’t the first company to get slammed for an ad campaign on social media in recent weeks. Pepsi was forced to pull a commercial featuring Kendall Jenner after it was accused of using the Black Lives Matter movement to sell soda.